FREE 1st Class Delivery On ALL Orders Inside the UK! Instant 10% off code when you subscribe! check out our YouTube content! gifts/guides for a hefty discount! Here's whats been flying off the shelves today! gymnastic adventures with our book in the background. Use the slider below to chose a blog you would like to read! I purchased this book for my 5 yr old daughter for her birthday having read all of the positive reviews and must say they were not wrong; my daughter hasn't put the book down! The pictures and instructions are clear and easy for her to follow and it has already helped her perfect her headstands against the wall. Happily recommend this book to anyone who's child is already or who wants to get into gymnastics. This a really clear, concise book covering lots of basic gymnastic skills and shapes. 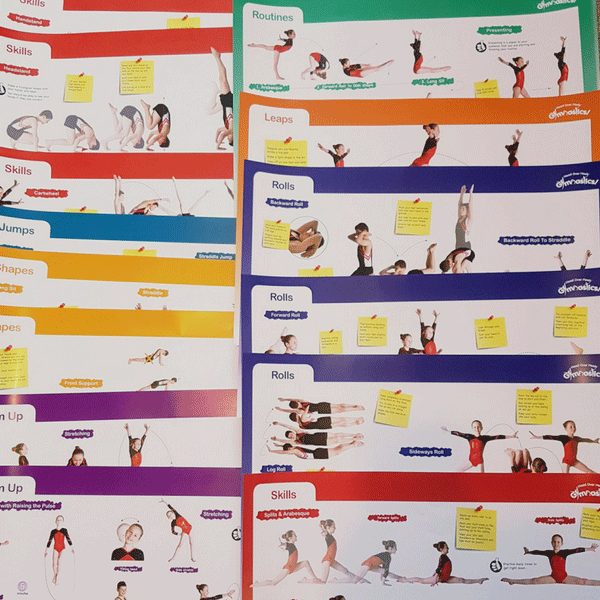 The real pictures are very useful for parents and gymnasts to see the correct positions they are aiming for. Full of hints and tips. Would recommend for beginners and improvers, and for parents to help their children at home. Stands up on its own and is fun and easy to read! Very clear, very instructional and the booklet stand actually stands! Has it been taking lessons from Gemma? There is also a lot of progress in each booklet so parents do not have to keep buying yet another volume to keep up. I like the score sheets where gymnasts can keep a check on their own shaping and learning. We have an adopted child with attachment disorder. She has one of your books and has been using it at home for two years now, knows it off by heart, but still studies every page before doing the moves! We also received the Gymnastics Journal at Christmas and it is her new most favourite book! She is busy filling it all in. 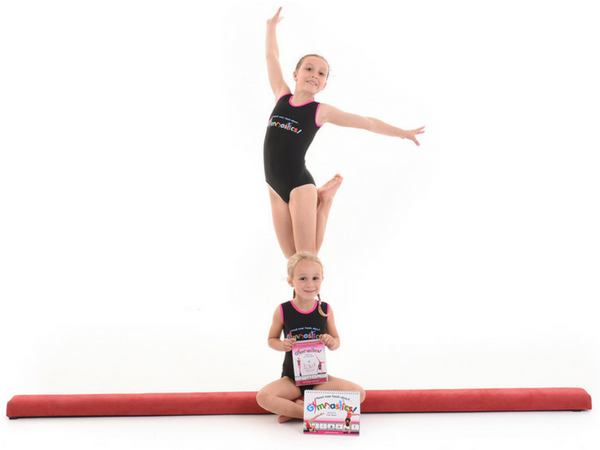 She is now 10 and competes with Stewartry Gymnastics Club, Gymnastics has brought her a new confidence and having the pictures in front of her at home has helped her loads! My 8yr old daughter absolutely loves these book!! Having been offered a place in a squad, and training several hours a week. 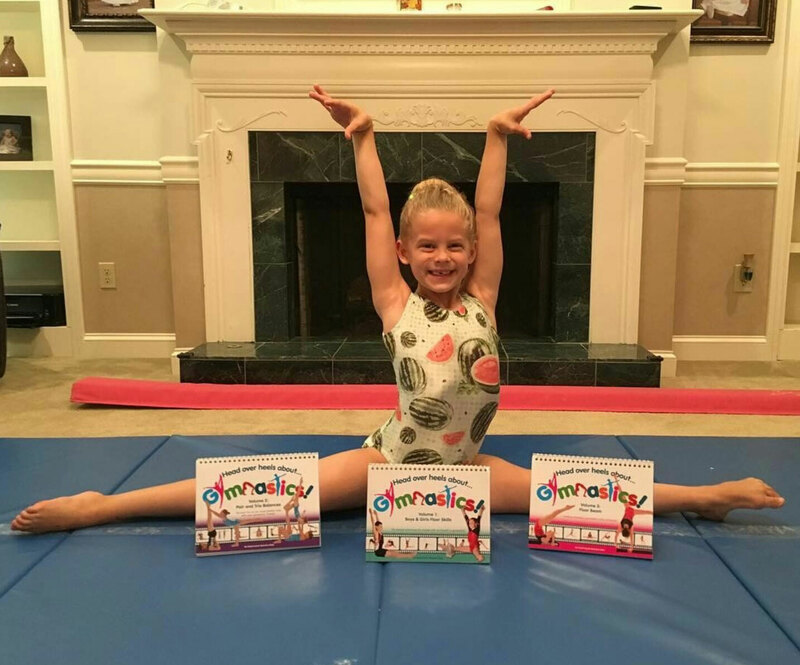 We found this book a godsend in helping her learn the gymnastics terminology, and by showing simple clear instructions. Fantastic design, which means it can sit right next to you to flip through.